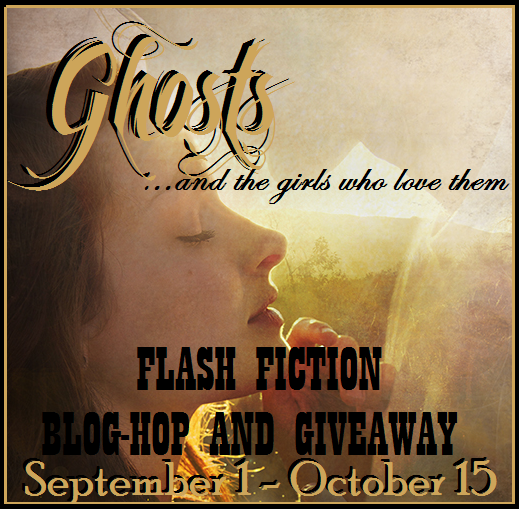 Jessa Russo: GHOSTS (and the girls who love them) #FlashFiction Blog-Hop! 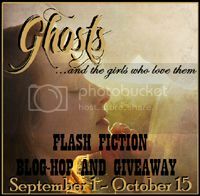 GHOSTS (and the girls who love them) #FlashFiction Blog-Hop! The time has come! We've started the blog-hop and many of the entries are live! ANONYMOUS votes will NOT count. You can vote for as many entries as you'd like, but only ONE TIME PER ENTRY. Please ask any questions below, and feel free to comment on the pieces if you feel so inclined. We flash fictioners love your feedback, but PLEASE keep it kind and classy!! Late to the game, but want to participate? You can still enter! Just sign up in the linky below and get your flash piece posted! PARTICIPANTS: If you let me know you've completed your piece, I will tweet about it and help spread the word for each entry individually! Hey Jessa. I still plan on participating, but I'll probably only post my short story on Tuesday 18th. I finally posted mine today. So, I spent the entire weekend writing my entry--much to the dismay of my family, who were unable to drag me away from my new fictional friends. haha. I just wanted to let you know my entry is up. Thanks for hosting such a fun contest! LOVED it! Thanks for participating! Hey Jessa! I'm sorry I haven't got my post up yet, but I hope to get mine posted tonight. Young adult author represented by Laura Zats of Red Sofa Literary. Books about falling in love are my jam. Editing and proofreading services now available. Do you have an EVER ebook but would still love a personalized autograph? Now you can get one! Guess What!? I'm finally on Twitter! Hey there readers, Frankie here. Would you like a signed paperback copy of EVER? FADE by A.K. Morgen TOUR STOP! 10 EVER e-ARCs up for grabs! ANNOUNCING the EVER Blog Tour Schedule! YOU can win a SIGNED copy of EVER! HAPPY BOOK BIRTHDAY, AYDEN MORGEN! Cover Reveals! NEVERLOVE and GIVIN' UP THE GHOST! All written material herein COPYRIGHT JESSA RUSSO. Simple theme. Theme images by billnoll. Powered by Blogger.